The terms instrumentation and control refer to the measurement and control of process variables within a manufacturing or production area. The location may be an office or a shop floor, a nuclear power plant, or somewhere as remote as an offshore oil well or a manned spacecraft. Engineers in this field design, develop, install, manage, and maintain industrial equipment that is used to monitor and regulate process variables like fluid levels, pressures, temperatures, pH, flow, speed, and humidity. Their job is to make sure processes and systems work efficiently, effectively, and, most important, safely. Where do instrumentation and control fit into the total picture? What you don’t measure, you can’t manage. Accurate process instrumentation is essential for quality control and making sure the 10,000th aircraft widget to roll off the production line is identical in every way to the first one. In some environments, precise real-time measurements can prevent a nuclear power plant blowing up or stop hazardous chemicals from being released into the environment. Instrumentation and control engineers save lives. Over the past 10 years, the oil and gas industry has become increasingly reliant upon automation and standardization as a means of improving efficiency, a strategy that is expected to keep growing. According to the Washington Post on February 12, 2019, instrumentation and process control play a key role in sorting contraband from cargo at points of entry into the United States and detecting and tracking people in remote areas. What knowledge and skills are required? In practice, instrumentation and control engineers need to be able to understand the differences between feedback and feed forward; open and closed loop controls; and PLC, DCS, and stand-alone controllers. They need to know why instruments malfunction and how to troubleshoot and correct them. Being able to calibrate transmitters and tune controllers are essential skills, too. While a bachelor’s degree isn’t necessary to learn how to read and interpret piping and instrumentation diagrams or troubleshoot a recalcitrant controller, a certain amount of formal training can benefit all workers and contribute to a safer workplace. A comprehensive, hands-on, three-day seminar can equip your technicians, mechanics, machine operators at all levels from apprentice to supervisorial with the necessary techniques and theoretical background to perform in the capacity of instrumentation and process control. The topics covered in a seminar of this nature might include basic concepts, including mathematics and electricity, flow, level, temperature and pressure instrumentation and measurements, controllers, control systems, as well as density, specific gravity, and analysis. You should expect to gain hands-on practice in setting up and calibrating hand-held calibrators, simulating and sourcing signals, trouble-shooting and manipulating processes, checking out sensors, VOM and tracing around loop. Why train your work force? Training your workforce in instrumentation and process control can increase productivity while reducing staff turnover, boost employee retention, and minimize system downtime. Including all of your employees in the seminar will provide cross-training opportunities that will enhance and diversify their skills. Accredited by the Accrediting Council for Continuing Education and training, NTT Training. delivers high quality, hands-on trade and safety skills all over the world. Its experienced instructors bring real-life, up to date equipment and instruction to your door, or you can send your employees to one of our many convenient locations. 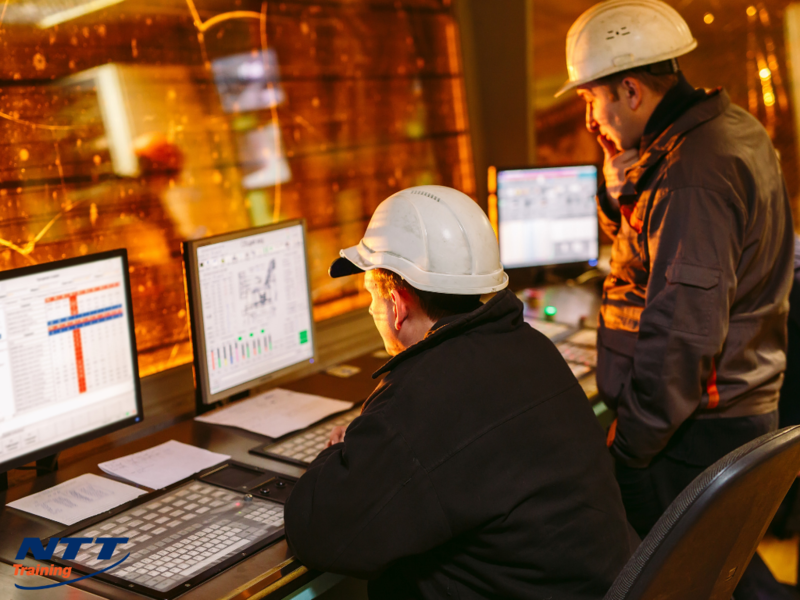 If improving efficiency, reducing down time, and retaining valuable staff sounds like something your company could use, contact NTT Inc. today about our seminar in Instrumentation and Process Control.